During my State of the State address, I acknowledged the unprecedented shift that has taken place in our state and our nation and its impact on our state’s coal industry. Across the country and around the world, the coal industry – an economic driver that has supported West Virginia for generations – is facing serious challenges. This is not a typical downturn. This one is different, and even the most optimistic among us realize it is unlikely that coal will ever reach the production levels of the past. I am telling you and you just mark it down. Jim Justice is telling you today two things. We are going to end up in West Virginia mining more coal in West Virginia than has ever been mined before. Mark it down. And the other thing is we’ve got to be diversified off the chart, because even when we were mining coal at our highest levels we were still 50th at everything coming or going. What does that tell us? It tells us we’ve got to have everything else. We’ve got to have tourism and agriculture and education and on and on and on. We are going to end up in West Virginia mining more coal in West Virginia than has ever been mined before. Maybe there’s some analysis I haven’t seen, or some report that’s not yet been widely circulated. Maybe Jim Justice knows something the rest of us don’t. He is a billionaire after all. And he loves West Virginia. I’m hoping that you could point me to 3 examples of independent experts or published reports that support this statement as being factual. If you don’t have three independent experts or published reports, I’d be interested in whatever data or evidence Mr. Justice and/or his campaign have that would tend in any way to support this statement? What exactly is the basis for such a statement? Didn’t hear a word back. Wrote him twice more. Crickets. 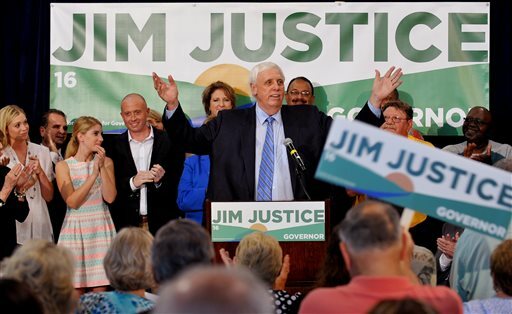 … It seems impossible to imagine that a gubernatorial election that features Jim Justice as a candidate will involve the sort of real discussion about coal’s past and our future that West Virginians so desperately need. Really and truly, what I thought was that we would just end up with more of the same sort of politics we’ve had lately, in which whoever can be the most anti-Obama and anti-EPA wins. Maybe that’s how things will eventually play out in the general election for governor. But at things stand now, the Jim Justice campaign is potentially doing serious damage to the growing discussion that even conservative, pro-coal Democrats like Gov. Tomblin are trying to at least start having in West Virginia. Not that folks like the governor haven’t been dragged kicking and screaming down this road. It wasn’t so long ago that Gov. Tomblin refused a proposal that he form a commission to study diversification of the state’s coalfield economy. When Gov. Tomblin ran for re-election in 2012, he was all-in for coal — telling voters, essentially, that another boom was just around the corner (see here, here, here and here). Of course, Gov. Tomblin isn’t running for anything now. So perhaps confronting the harder truths comes easier, without a price in attack ads from the career campaign consultants. Jim Justice’s comments are dangerous — dangerous to voters and dangerous to the state’s future. Everyone would like it if there were an easy way out of this, a glide path onto a jobs rocket ride or some such nonsense. The current coal decline has been a long time coming, with plenty of warnings along the way, and no one who is paying attention thinks it’s going to magically turn around. 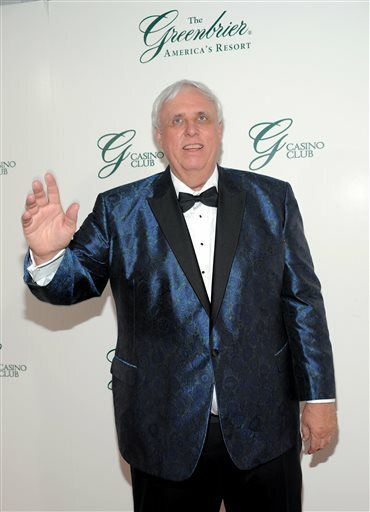 Jim Justice says he loves West Virginia. It’s a shame he won’t give voters some tough love, and be more honest about the coal industry. More coal to be mined than ever before? Sounds like a bigger campaign promise than will ever come true.